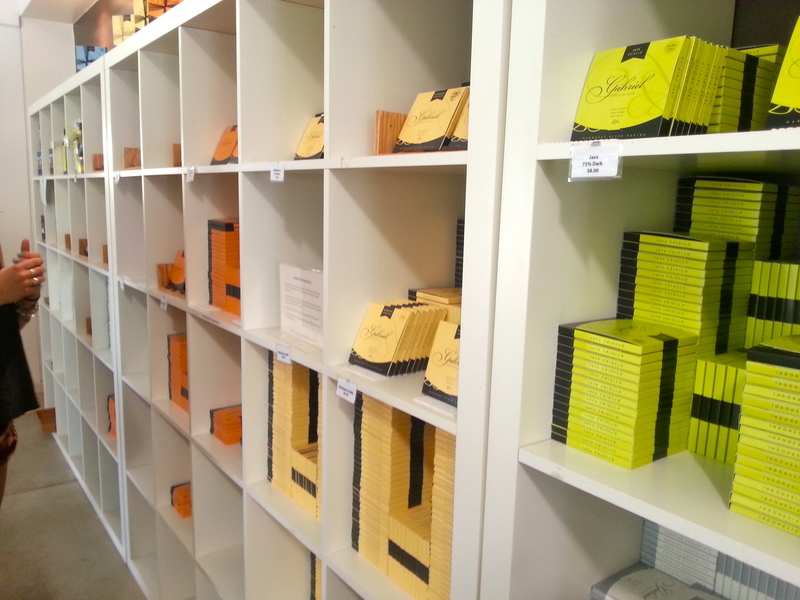 Could it be the best chocolate in Margaret River? In recent years the Margaret River Wine Region has transformed into a truly diverse food and drink experience. The Margaret River Chocolate Factory may be the well known go to for choc fans but the area is now home to two more world class gourmet chocolatiers. 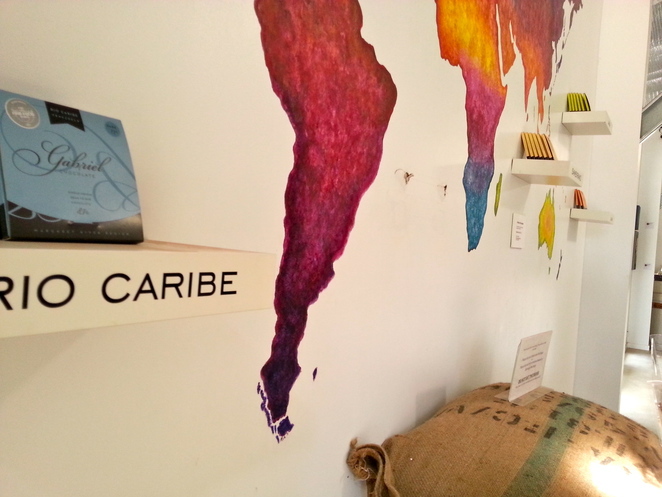 Gabriel Chocolates is one of the new players on the block, and it's location gives it a huge advantage over the MRCF and the other newcomer - Bahen & Co chocolates. 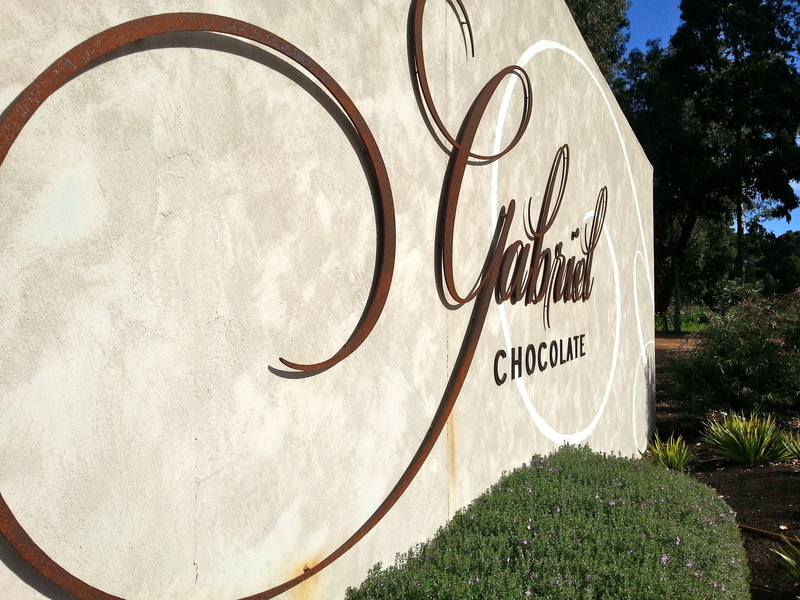 Situated on the picturesque Caves Road, Gabriel Chocolates is a new venture on the already successful House of Cards winery. Upon entering the carpark you instantly notice the neat, country styling of the chocolate house and adjacent cellar door building. Fields of green grass and smart playing card artwork surround the buildings with plenty of well maintained garden work in between. The interior of Gabriel Chocolates is very neat and engaging with the space filled with hundreds of chocolate treats wherever the eye looks. Of course the first stop upon entering is the free tasting tables adorned with fresh chocolate savings and crushed cacao bean - all served with excellent knowledge by the resident chocolate maker. As for the chocolate ... well, let's just say a Belgian would not be disappointed! Even the darkest varieties are smooth and velvety, packing plenty of flavour without that bitter after-taste mass produced brands tend to leave lingering. Gabriel have a heap of plain chocolate products ranging from white to 85% dark - each coloured coded to match the country where the cacao bean used is sourced from. The factory also has a good range of chocolate ice creams, cakes and treats available at the on site cafe. I've always considered MRCF a little overrated so it's great to finally have a truly high class chocolate maker in the south west. All the chocolate is made on the premises daily, you can actually see the stacked bags of cacao beans in the storage as you enter the building. Sitting around a table in the green fields of caves road with a glass of House of Cards wine and block of Gabriel Chocolates really defines what the Margaret River Wine Region has become - an increasingly diverse, relaxing country heaven of food and drink which is just getting better and better with every trip. I haven't been to Margaret river yet, but when I do I will be visiting this place with my best sweet tooth! The colour coding is a great way of packaging the chocolates. oooh...mention chocolates and you have my attention. I can almost taste the chocolates mentioned. Yum Yum. Thanks for a GREAT article. please correct your info. gabrielles range goes up to 99% - not 85. AND it is the best chocolate in WA - not just the sw. you're right about mrcf tho.